Welcome to our our Architectural Design six part series, featuring Joseph Drust. Through all six videos you’ll be shown how to design, develop, and render a skyscraper, but these techniques are not limited to just buildings. Some key features you’ll learn or practice will include the ZModeler Brush, NanoMesh, Alpha creation, 2.5D features, Surface Noise, and lastly the ZBrush to KeyShot Bridge. Whether you’re here to learn something new or brush up on some old skills, we hope you’ll enjoy our newest video series! 1. This tutorial series gets things started with the ZModeler Brush and NanoMesh to create a building base. Use NanoMesh’s random, variation, offset, and rotation sliders to create a unique skyscraper look. 2. Now that you have your base building model ready after watching Part 1, let’s modify your base model more with the ZModeler Brush. 3. Start this lesson with an introduction to Surface Noise, this will be used later to add more detail to your building. ZModeler is used again to create separate assets for Alpha creation. 4. Now that you’ve created tileable assets from Part 3’s lesson, let’s create Alphas with help from 2.5D features. Applying the created Alpha to the Buildings using Surface Noise. 5. Using the Alphas created in the previous lesson, it’s time to apply them using Surface Noise. 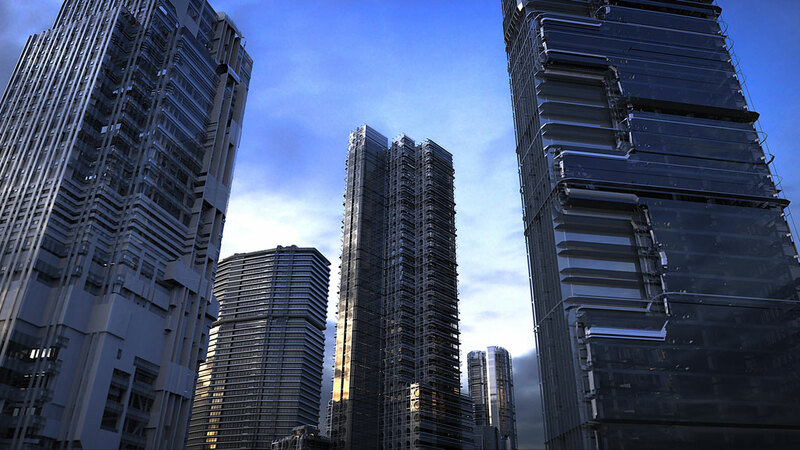 This technique adds detail to your skyscraper, giving it a realistic effect when rendered. Rendering inside KeyShot using the ZBrush to KeyShot Bridge. 6. We now have a fully modeled skyscraper building, let’s render it with the ZBrush to KeyShot Bridge!